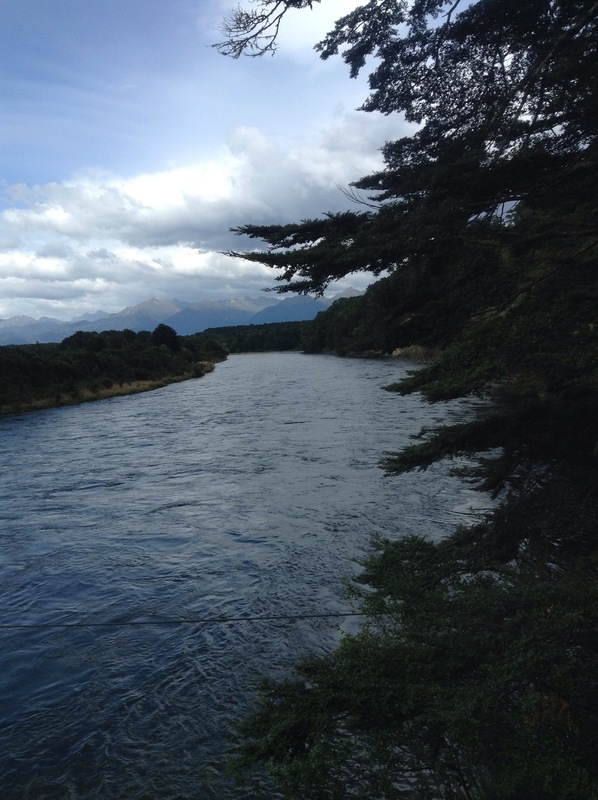 On a sweltering hot Tuesday morning I hitchhiked from Cromwell to Te Anau, gateway to Fiordland. I still maintain that despite the nervous excitement which surrounds hitchhiking, it is such a great way to meet interesting and friendly locals. My first lift from Cromwell to Frankton was an old man with two dogs, Harry and Tila. He was originally from London but having lived in South Africa, LA and Zimbabwe, had retired to New Zealand. He had interesting stories about his life as a performer, film director and director at the London Palladium. Bidding grateful farewell I was very quickly picked up by a little old lady who drove me down to Lumsden, the gorgeous, winding road following the lake watching the landscape change from fields of sheep to wide open plains. She had lived quite the opposite life. Her small town in Southland had been her home, where she met her husband and raised her children. She knew all of her neighbours and was fiercely loyal to the local store. After a short while she asked if I was hungry and we pulled over to have a picnic complete with sandwiches, homemade cake and a flask of tea. From the junction I was picked up again by the first passer by. Another man with another dog. Although only sharing the road for a short while he was keen to impart must sees and also bought me an ice cream. It was a boiling day and another recognition of just how kind these kiwis are! In small town Mossburn I had a longer wait before a young guy working in forestry picked me up to drive the remaining way to Te Anau. 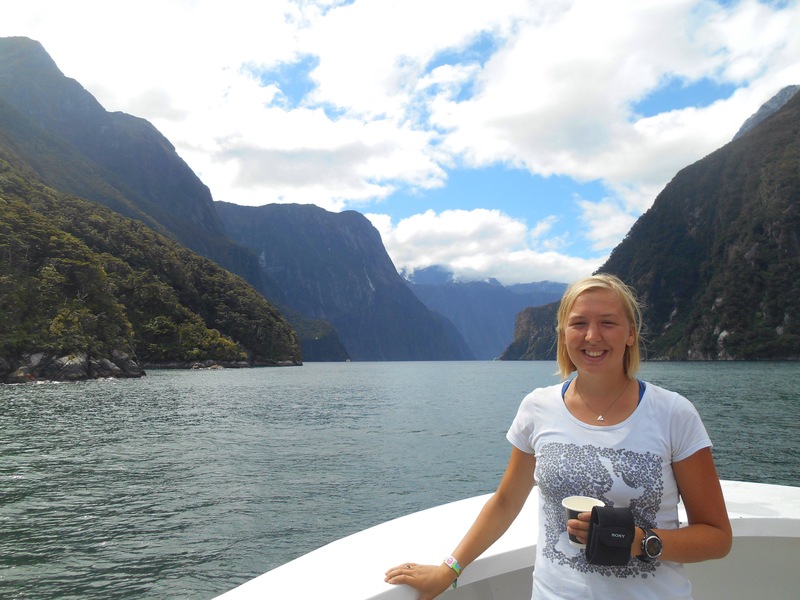 The dramatic mountains of Fiordland moved ever closer and I was excited to delve deeper into New Zealand’s natural beauty. As we pulled into Te Anau, it was a beautiful outlook of mountains surrounding the large Lake Te Anau, the largest body of freshwater in the Southern Hemisphere. 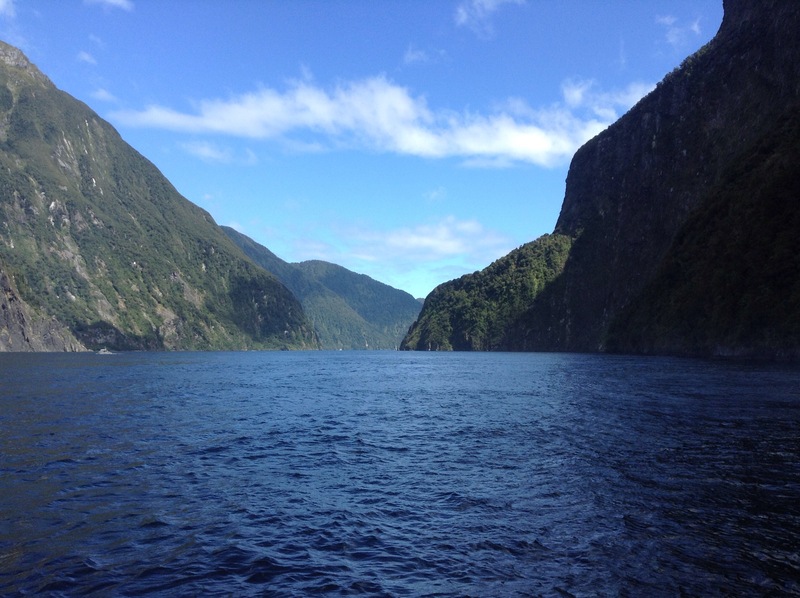 When looking at a map, Fiordland is the south west part of New Zealand which looks incomplete, like fingers or a scarred land, quite impossible to be fully explored. Maori legend is that these channels were carved by demi-god Titerakiwhanoa and the gauges get deeper as he gained skill and confidence, the deepest and most impressive being Milford. After checking into the hostel and organising a trip into Milford for the next day, I spent the warm evening by the lake watching the setting sun dance across the water. The bus pulled up early at the accommodation to take us into Milford Sound. 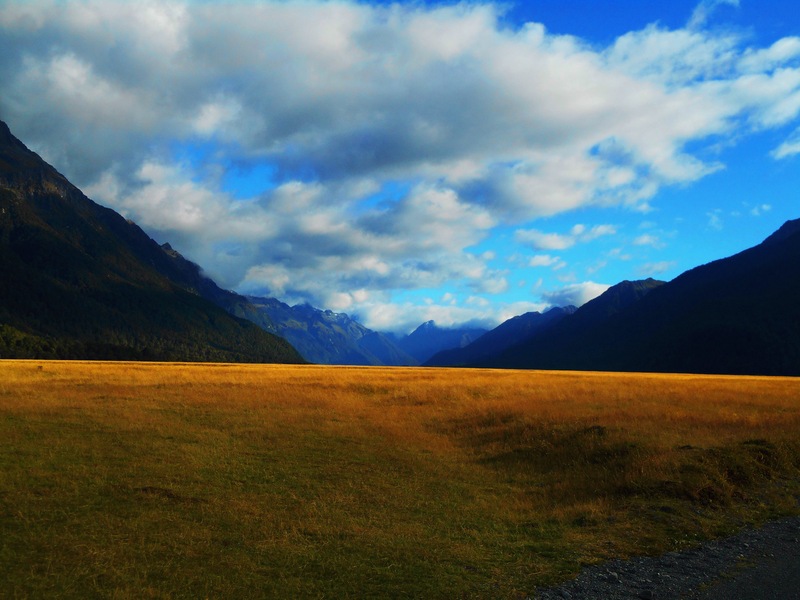 The road passed Te Anau downs, then opened out into flat plains surrounded by towering mountains. The road then launched into winding through dense forest, the only road through 1.2 million hectares of untouched, largely unexplored vegetation. 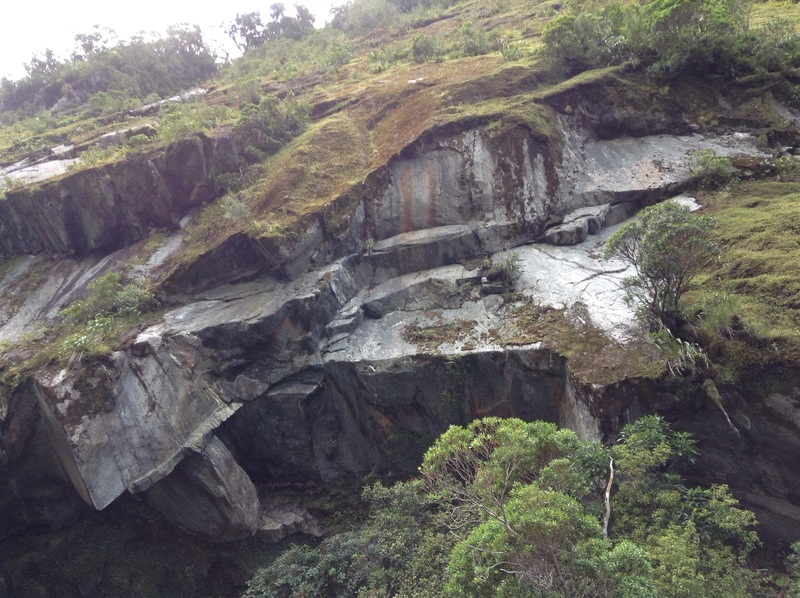 We got out for a short walk through forest to the chasm waterfall. 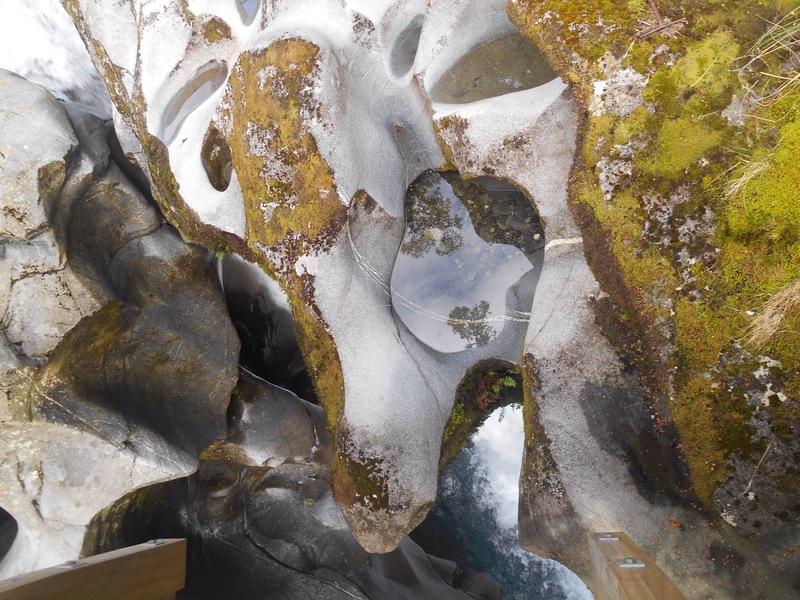 The gushing water had transformed the river bank into what looked more like a Gaudi inspired house. 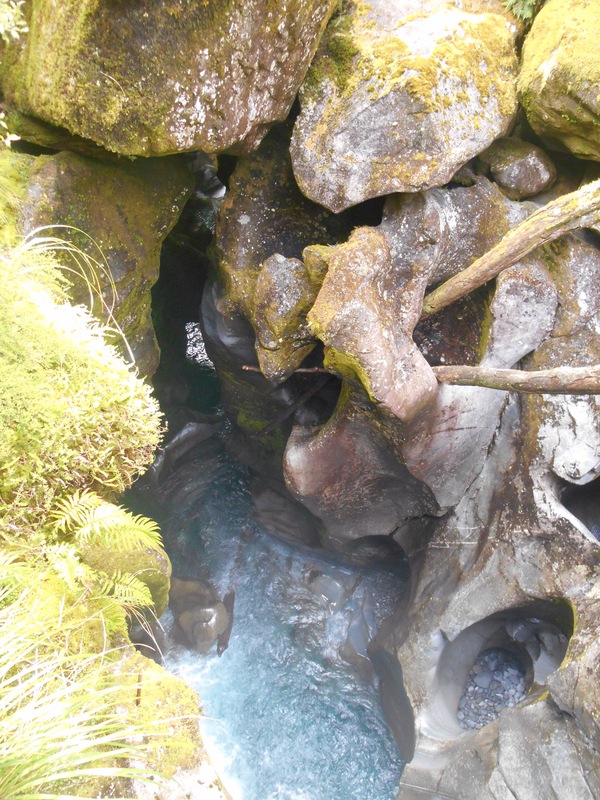 Rocks and logs turned by the power of the water had eroded parts, sometimes complete circular holes so it looked like an unrecognisable modern design. The water powering through like looking into a washing machine at full power. Originally Milford was only visited by those walking the arduous trek. The government put out a challenge to find a road to Milford which was answered by two school teachers in early 1900. In 15 days they founded the route of the current road, an incredible feat considering the geology of this place and the high rainfall. 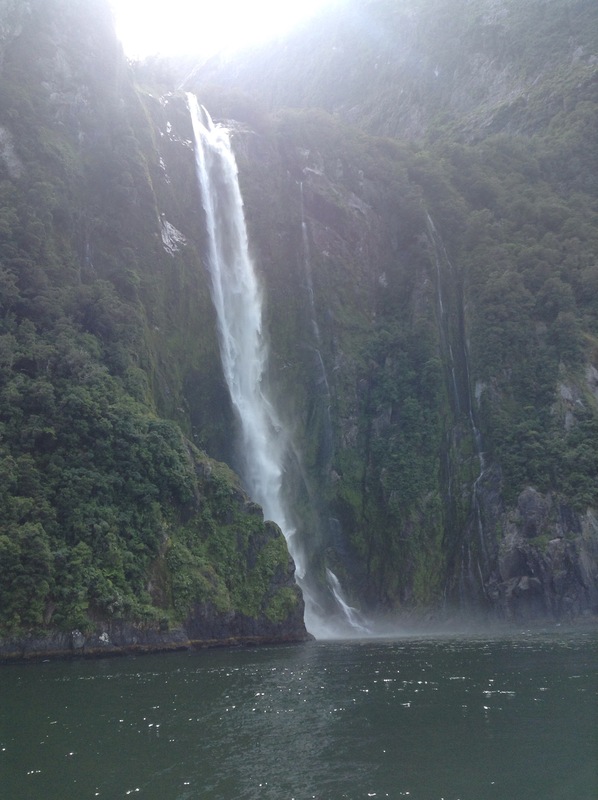 Milford experiences 200 days of rain in a year, 7000mm! Back on the bus we approached and waited to pass through Homers tunnel. 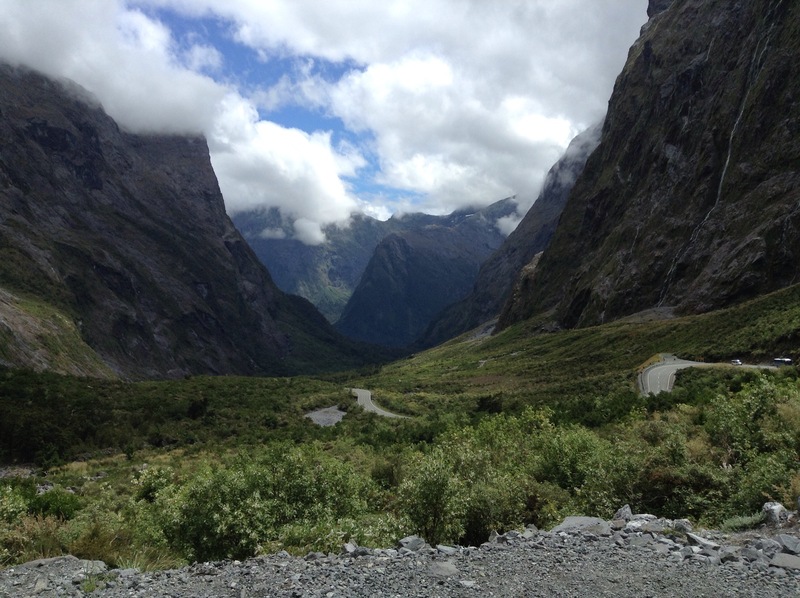 After being plunged into darkness we emerged to see a winding road wriggling between two astonishing mountains. 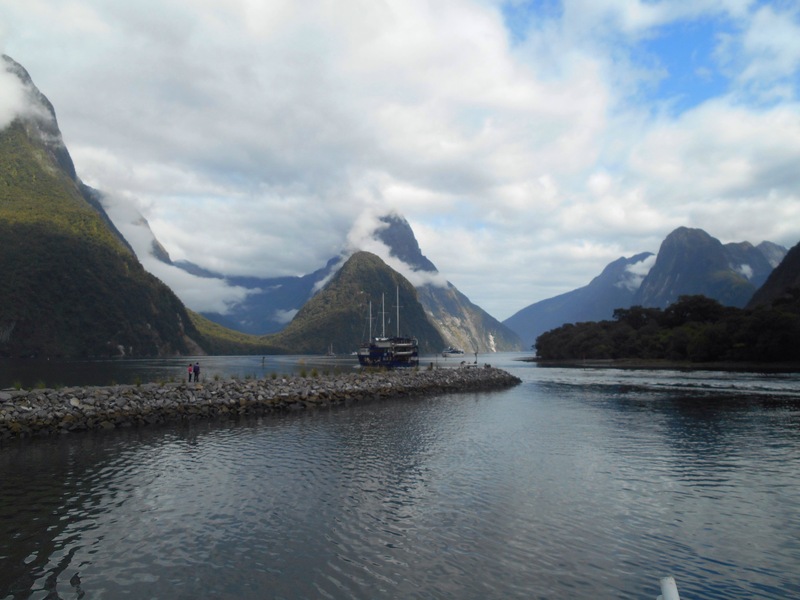 Milford Sound was also somewhere you can see represented in photos so many times but will be astonishing when you see it with your own eyes. The scale of the place is what makes it so. 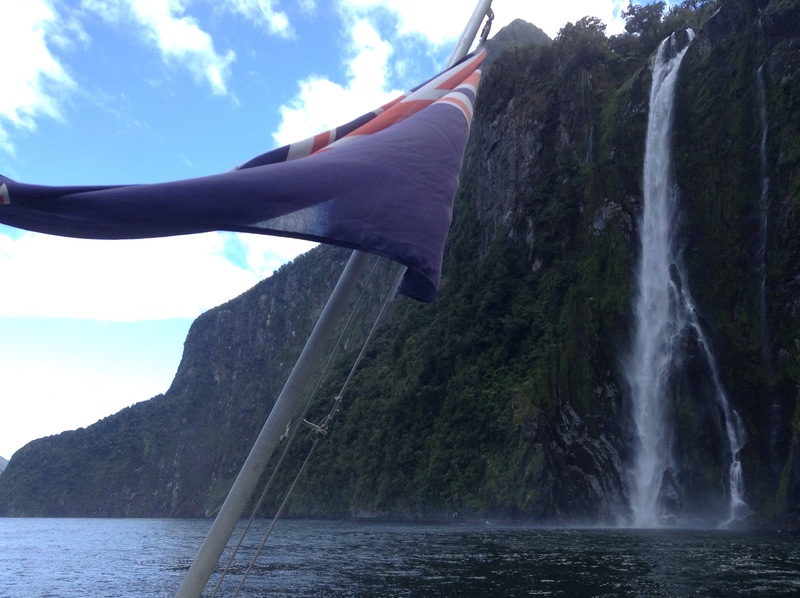 Captain Cook sailed passed Milford several times. From the Tasman sea the mountains do not reveal themselves as an entrance. It was a distressed boat that turned towards the rocks and believed they would be wrecked upon them, that discovered this vast network. Milford was named by a Welshman after his home port, Milford Haven. The government later believed it to be a sound and it was never renamed once correctly identified as a fjord, glacier formed rather than river formed. 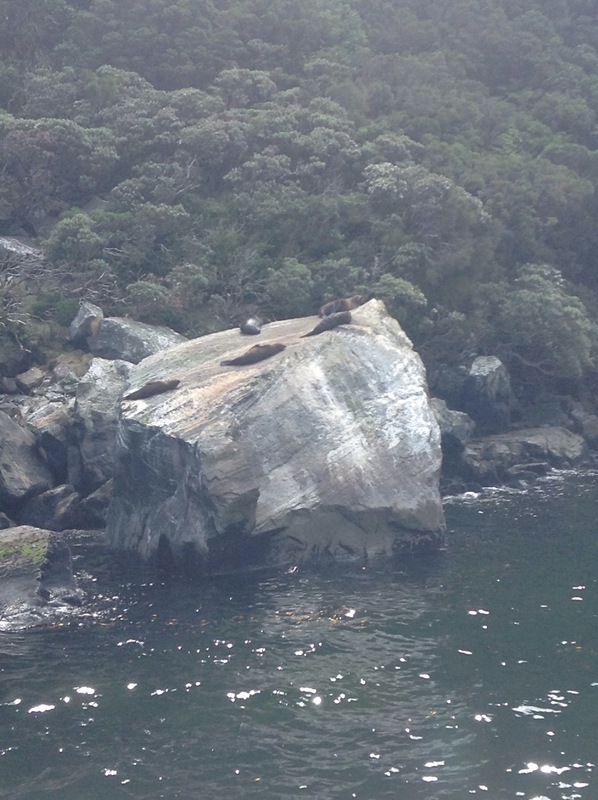 We also passed the sea lions as they playfully rolled on the rock, digesting their nights feed. Back on the bus we headed back to Te Anau, several photo stops and funny anecdotes along the way. The driver was a local to Fiordland, preferring to live in his village of 200 people as even Te Anau was becoming too populous. He described north islanders as so strange they fish upstream and sleep in their vests. Whatever kind of insult this was, it passed me by! It was through him I saw a glimpse of the local life, fishing and hunting. He was very keen that I apply for a job next season to work in Milford Sound and by the end of the journey I was convinced there can’t be a much better office! Whilst in Te Anau I also visited the Fiordland cinema. Their local award winning film plays several times a day showing footage from a helicopter from winter to summer, snow capped to sun kissed. This vast area is represented at sunset and from angles otherwise unseen and it was incredible to imagine the scenery throughout the seasons, for much cheaper than the cost of a helicopter flight. Te Anau is also the starting point for one of New Zealand’s great walks, the Kepler track which goes around the Kepler mountains. 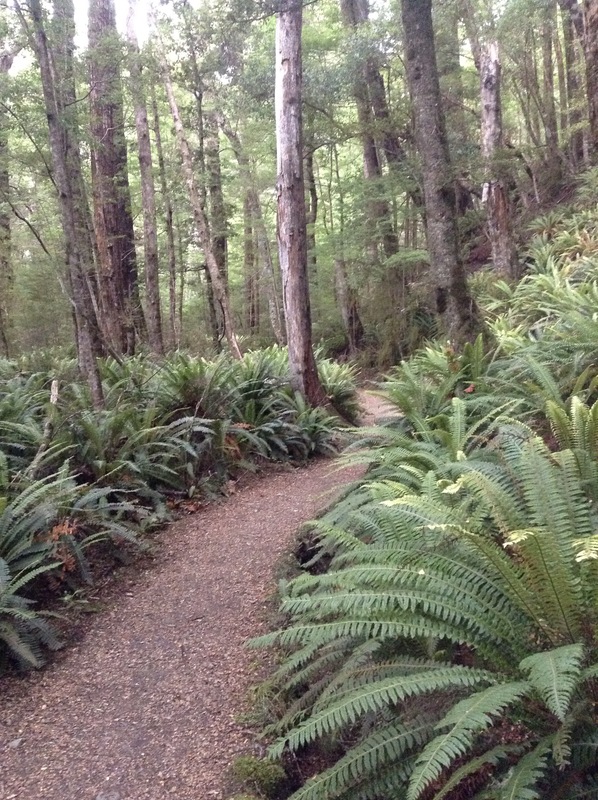 Tori and I did a day walk on the track, setting off around the lake through the Birdlife park and following the trail as it wound through scrub, ferns and mossy birch forest. The lake was always so tranquil and Tori’s constant commentary on the changing vegetation certainly made me more aware. As an Australian she was very excited by the moss covered logs and trees of the forest which made this place feel exotic to her. At the end of the walk we sat at an elevated point where the dense cover revealed the river and a beautiful view. The ground was spongy underfoot and nearby had fallen away revealing the network of roots which made up the bank. With all the activities aside, there was plenty of time to walk the lake foreshore, enjoy the sun, scout out the best coffees and stock up on souvenirs. 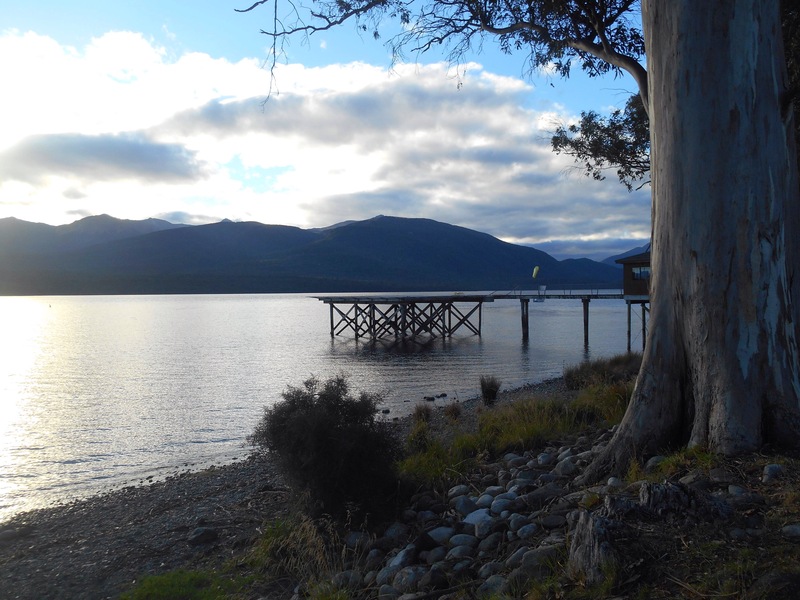 Te Anau scores pretty highly for me and I hope a return visit is on the cards. The photos are stunning. I seem to say that a lot but, it’s true. You’ve captured the feel of the places and make me put it on my ‘must visit’ list along with many of the places you’ve been to.